As a promising name, we bring forth high quality product range that is designed and developed using the best in class raw material and modern work methodologies. Besides, we make sure that the basic material is sourced from the trusted places. Timely delivery of the orders is assured with us as we are backed by one of the most sophisticated transportation facility. 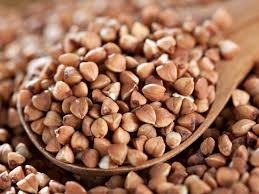 We offer varieties of Buckwheat, roasted buckwheat, millet and various kinds of kidney beans. We make our effort to offer high quality control and services. Roasted Buckwheat Kernel - The specification of goods is moisture 14% max, admixture 0.1% max, unhulled 0.1% max, broken 3% max. The standard packing is 25kg pp bags. Buckwheat Kernel - The specification of goods is moisture 14% max, admixture 0.1% max, unhulled 0.1% max, broken 3% max. The standard packing is 25kg pp bags. Raw Buckwheat - The specification of goods is moisture 14% max, admixture 1% max, broken rate is 3% max. The standard packing is 25kg pp bags.